A good (chocolate) taste of autumn? Autumn has arrived at last! Summer 2018 was a particularly awful one and while warm weather is still quite likely in September and even October, most of Japan is ready to get well and truly into the spirit of autumn instead. Bring on cooler days, rich colors, falling leaves, and all manner of delicious food! The chocolate companies of Japan are well and truly behind the push into autumn as well. Since obon, the mid-August festival to honor the dead, the candy aisles of stores have been inundated with new season flavors. One of them is this, Fujiya’s Look "Aki no Umaimon Hitorijime" chocolate bar, or "Good Taste of Autumn" chocolate bar. 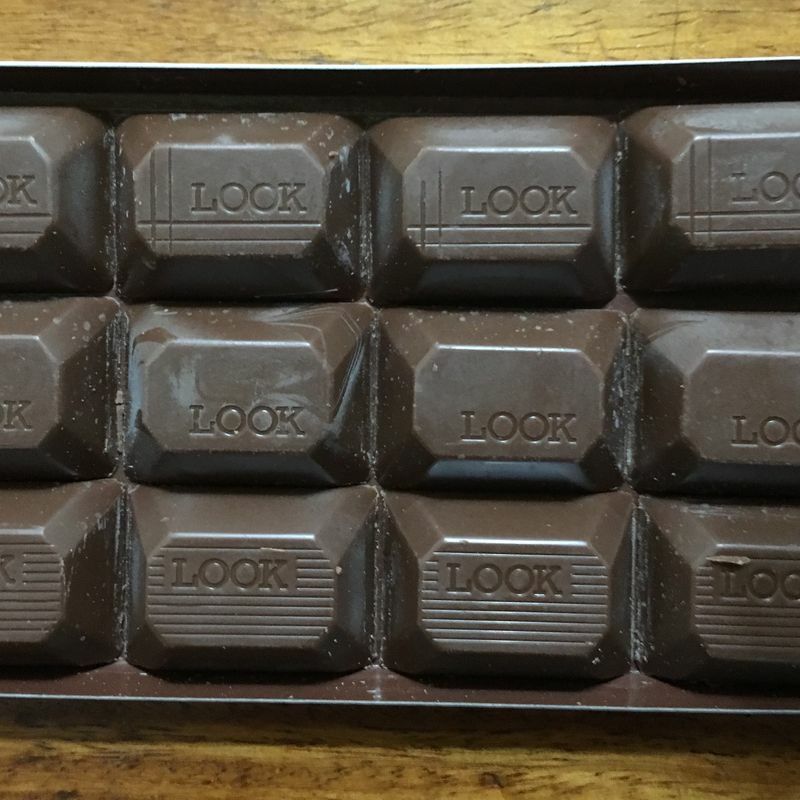 As is typically the case with the Look range of chocolates, it offers multiple flavors to try in a single pack. 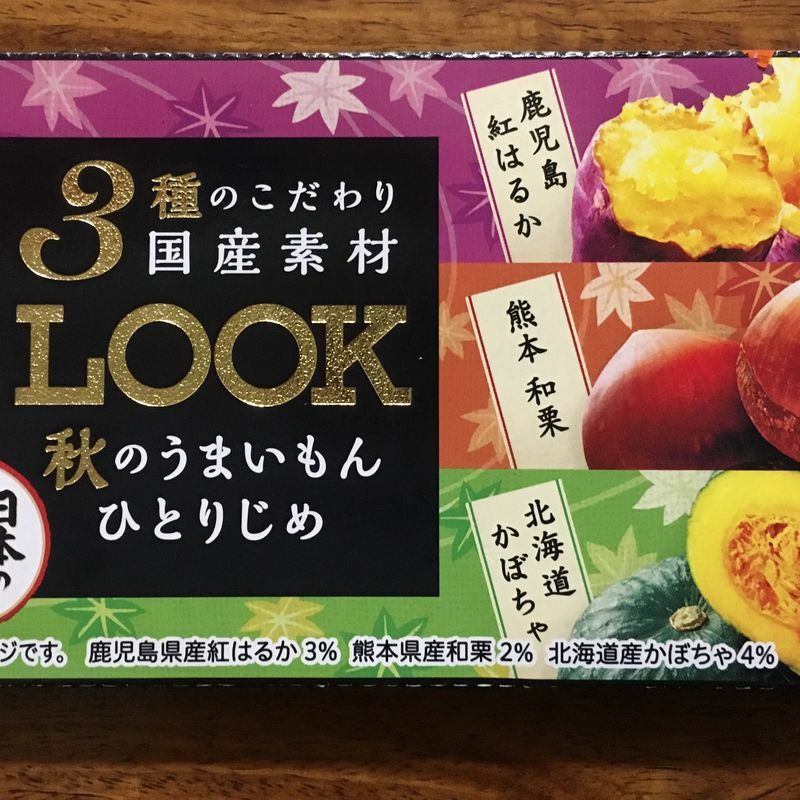 In this case, there are three quintessential Japanese autumnal flavors included - sweet potato, chestnut, and kabocha (Japanese pumpkin/squash), all packed into compact milk chocolates. Another thing that is typical for Look is the beautiful presentation of the chocolates and, again, this version is no exception. The box is beautiful, using images that channel autumn days, and chocolates themselves are subtly decorated, each flavor bearing a slightly different pattern to make it easy to differentiate between the three types. 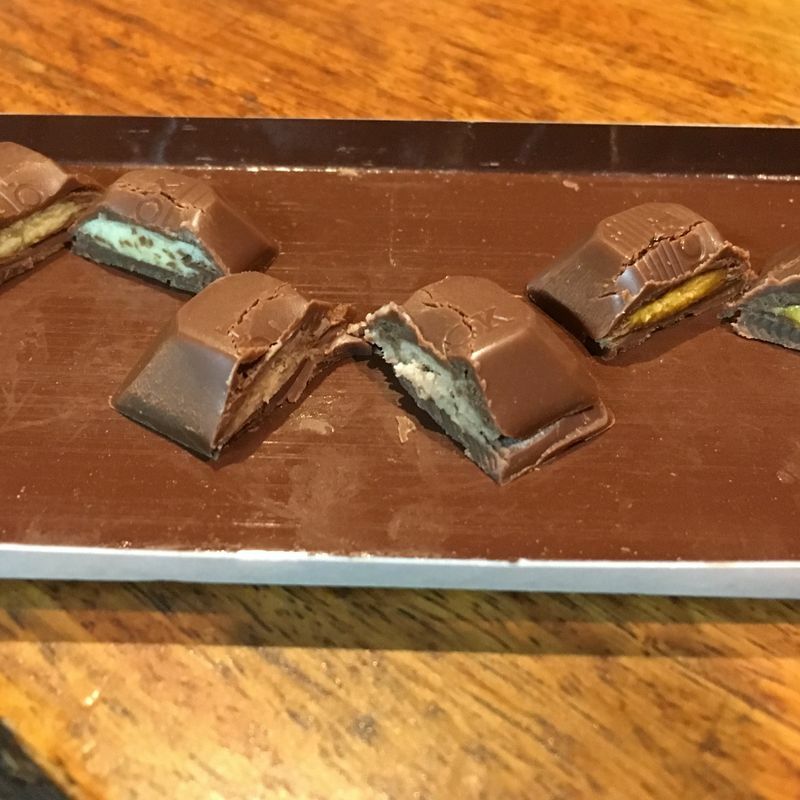 Even the insides of the chocolates are quite attractive, pastel versions of the colours of the foods that inspired the chocolates. The most important aspect of the chocolates, though, is the flavor. Working my way from top to bottom, the first flavour is sweet potato. While I’m fond of the vegetable itself, especially the baked variety lugged about in the back of small trucks by the local ojiisans, I haven’t really enjoyed it as a flavor for sweets. Unfortunately, while they weren’t as bad as some of the sweet potato sweets I’ve tried, these were still a bit too musky and just odd for my liking. The faux sweet potato flavor didn’t overpower the chocolate as it does in some other chocolates, but it didn’t complement it either. They were definitely my least favorite of the three. The second flavor is chestnut. I expected to like this one the best of the three, enjoying chestnut as a flavor in all manner of sweets such as the oft-sighted mont blanc, and imagining something nutty. Instead, this channeled something more akin to the cream of the mont blanc than that of the actual nut. They weren’t bad, but they weren’t what I was hoping for either. Lucky last and my surprise favorite are the kabocha chocolates. I did not expect pumpkin to go especially well with chocolate, but these are actually quite delicious. Kabocha is a subtle flavor, and its creaminess actually seems to match the milk chocolate really well! For me, almost all chocolate is good chocolate but as much as I enjoyed the kabocha flavor and found the others at least edible, I probably won’t buy these again. Two out of the three flavors weren’t what I wanted, and when there is so much else to try, I will probably look elsewhere instead. Still, they’re worth eating at least once, if only for the novelty factor, and who knows? Maybe you’ll enjoy the small chocolate version of the Japanese autumn more than I did! Making chocolates for Valentine's Day! It's the season of Bon O Bons!